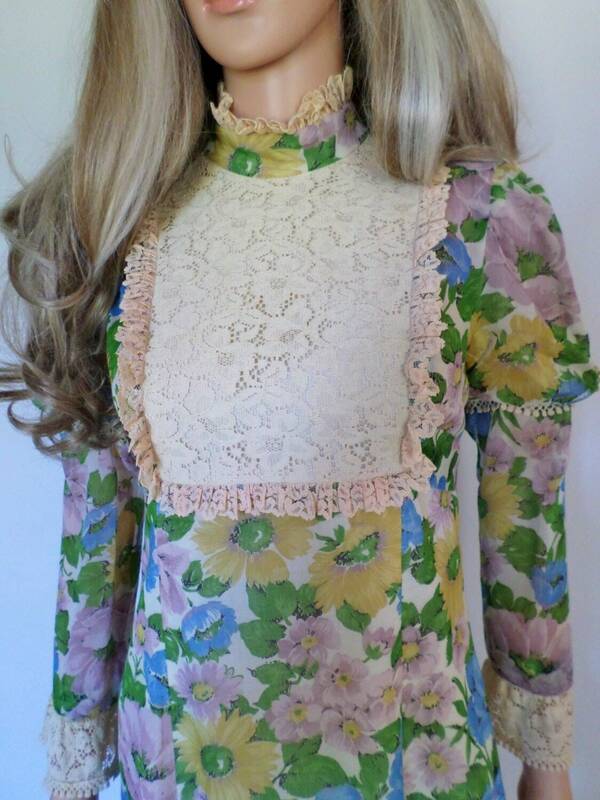 Awesome Prairie Dress from the 60's with all the prairie dress details you are looking for and then some. 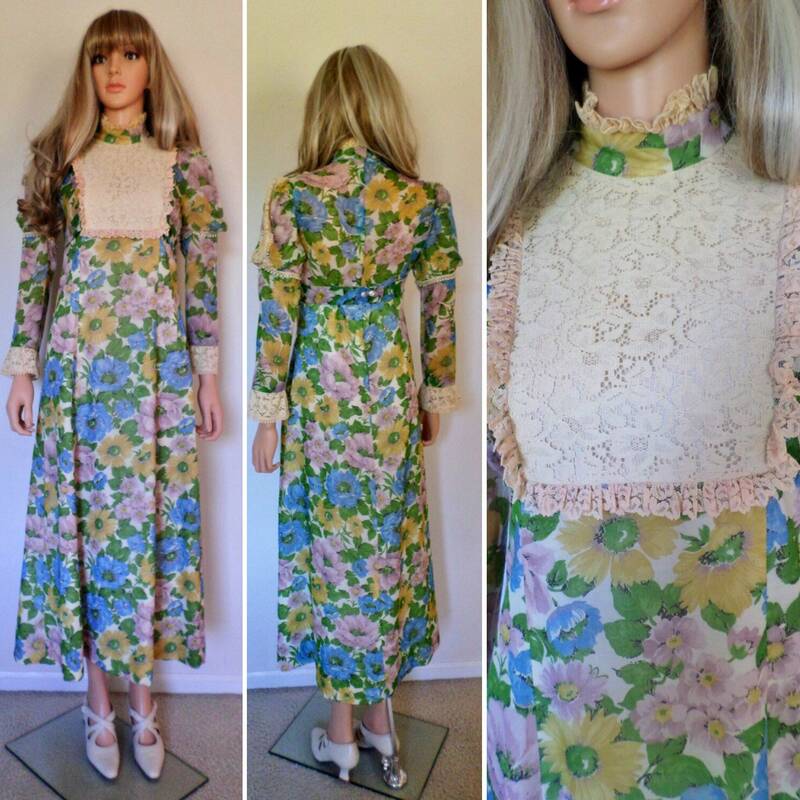 I bought a bunch of dresses from this lady who would go on vacation to CaLi with her friends and shop back in the mid to late 60's. Her collection was amazing and I bought them all! They have all been dry cleaned for $20-$35 each by vintage specialists to get the decades of dust off so their condition is now amazing! Fitted waist band which comes from the front and buttons with snaps to lay properly. 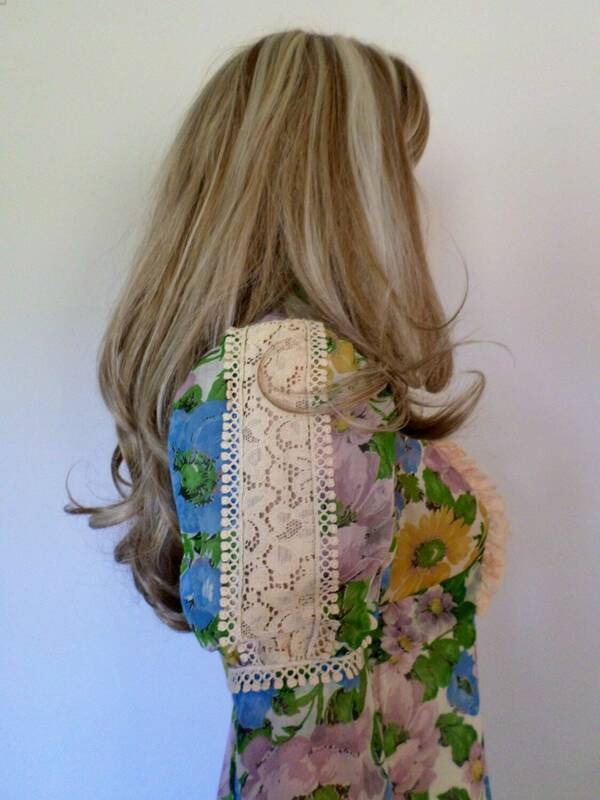 HAS MOSAIC ABALONE BUTTONS IN THE BACK WAIST BAND. Condition: has been professionally dry cleaned, COST ME $35 TO HAVE IT CLEANED by specialists who don’t ruin the colors. 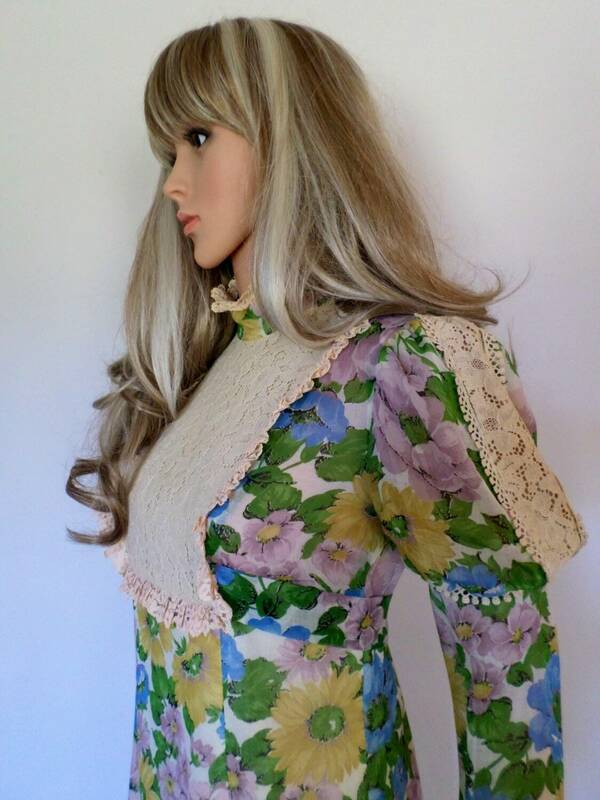 Some yellowing on lace FROM AGE.